If the flood of criticism on social media wasn't enough of a sign, a quick glance at a 24-hour Apple stock confirms that both investors and consumers were unimpressed by Apple's Monday product launch - the company's official coming-out party as a tech-services heavyweight. No doubt, heightened expectations played a role in this - media previews had teased a 'Netflix Killer' and an 'Amazon Prime Killer'. 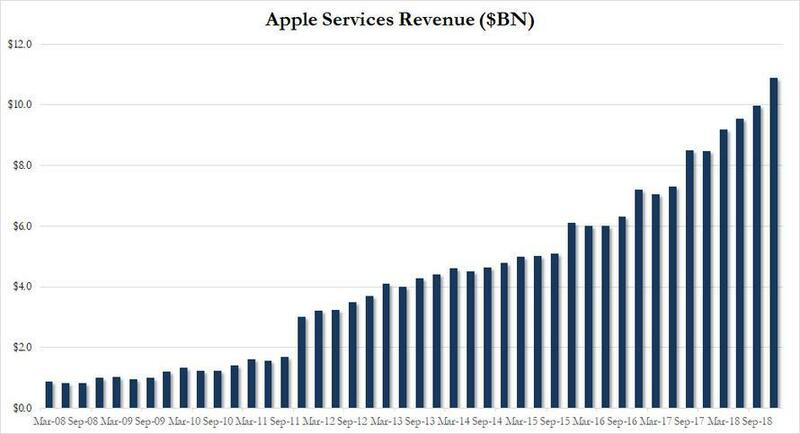 And over the past few months, CEO Tim Cook told any journalist who would listen how the company's burgeoning services revenue would more than offset declining iPhone sales. Now, analysts have confirmed that the suite of much-hyped services - from the new Apple credit card to its 'Apple TV Channels' streaming service - appeared to disappoint. Apple's new credit card, launched in partnership with Mastercard and Goldman Sachs, offers perks similar to many of its rivals. There are no immediately compelling reasons for consumers to pick the Apple Card over, say, JP Morgan's Chase Sapphire (a popular option for moneyed millennials). And although Apple flooded the stage with celebrities, few are convinced that the service will be able to wrest much market share away from the leaders like Netflix in the already-saturated streaming space. Though the company unveiled four new services, including a subscription gaming service, a subscription news service, its new Apple card and a new Apple TV streaming service, analysts said they were left with "more questions than answers," per BBG. 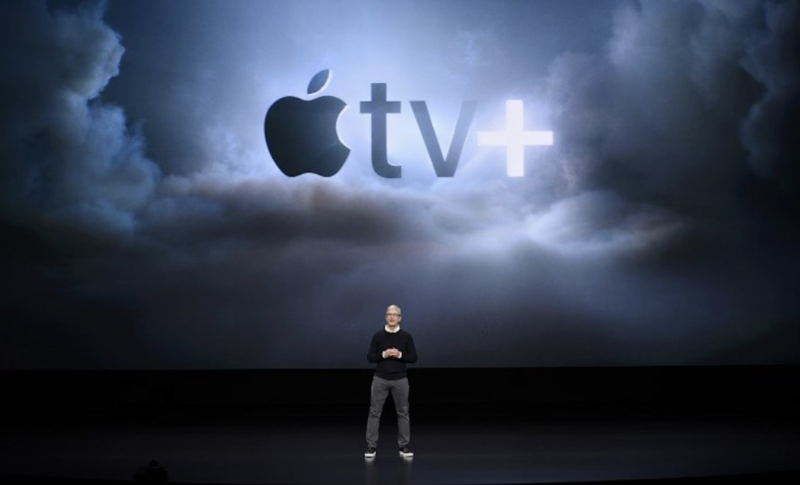 "Apple’s introduction of the new Apple TV+ paid subscription service, or more notably Apple’s push into original content, leaves us investors with more questions than answers," Aaron Rakers, an analyst at Wells Fargo Securities, wrote in a note to clients. There are no doubts about Apple's ability to attract the biggest stars. But it still needs to convince analysts that it can bring the same expertise to managing a content-streaming service that it brought to managing supply chains. The video streaming market is already crowded, and other big new entrants will appear later this year. Magid’s Bloxham said Apple has to deal with a complex network of pre-existing deals and relationships - and massive egos. For instance, can Apple compete with Amazon and Netflix without a wealth of licensed content from Hollywood studios? Depending on original content is a precarious position for a new entrant in the space. This will leave Apple relying more on its home-grown movies and TV shows, and Bloxham is concerned that this may not be enough. Recent research by Magid shows that as many as 4 in 10 adults subscribe to video streaming services with the intention of churning out of these subscriptions in six months or less. "They come in to binge on a hit series, and then unsubscribe easily," he said. Analysts at Goldman Sachs were also disappointed by the Monday product launch, and said the lack of pricing information on Apple's streaming service suggests it likely won't impact the company's EPS during the near term, since these services won't launch until later this year. But although the products were "materially different" than the bank had expected, it still found them interesting "from a product churn point of view." Of course, analysts can chirp about quality all they want. At the end of the day, Apple's vast appeal to owners of its iPhones and Laptops offers a sizable user base to pitch the new products. Like Oprah Winfrey said yesterday after bounding on stage to talk about her partnership with Apple TV, "they're in a billion pockets y'all. A billion pockets." The question is: Will that be enough?